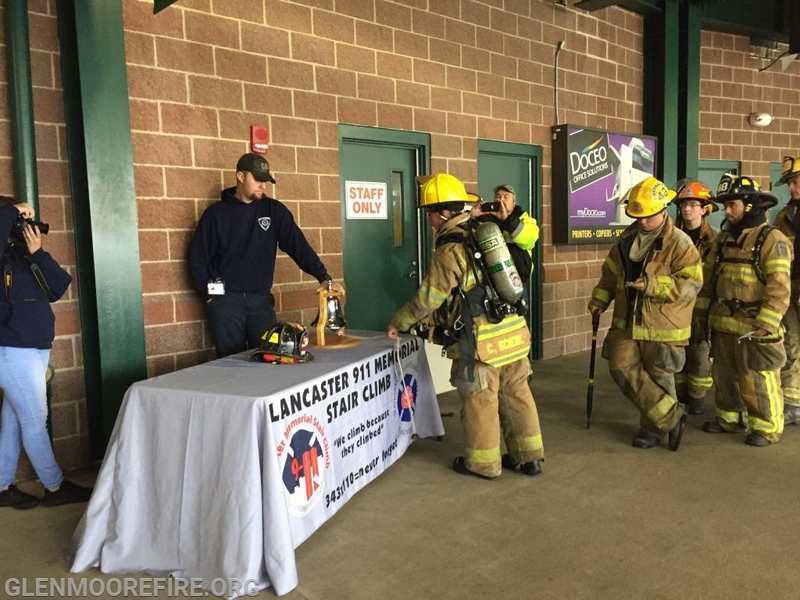 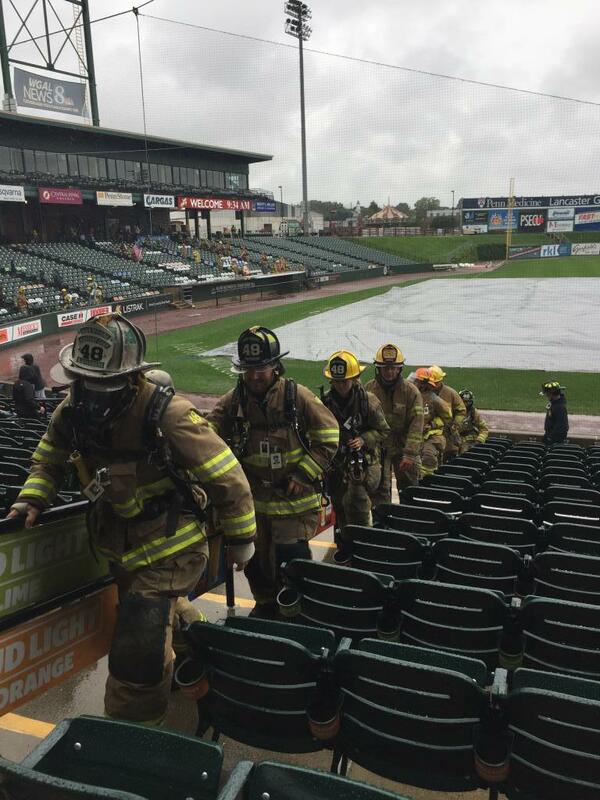 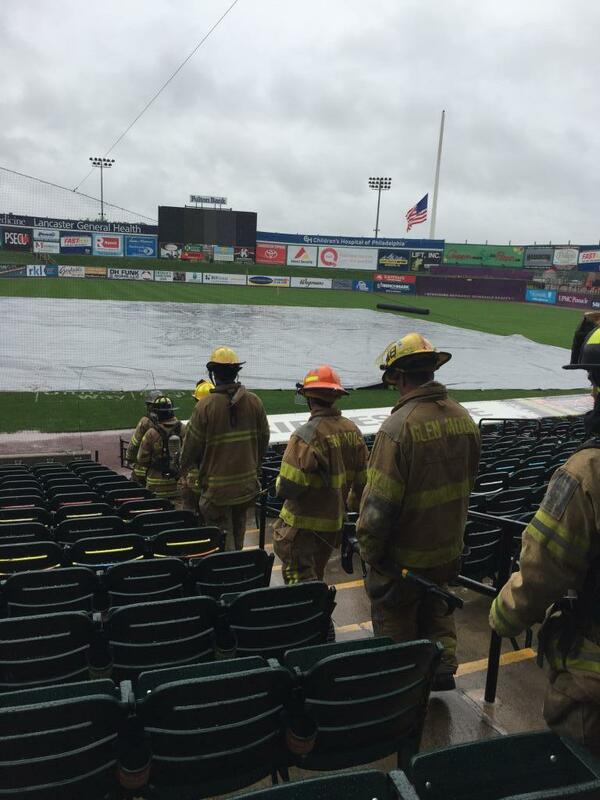 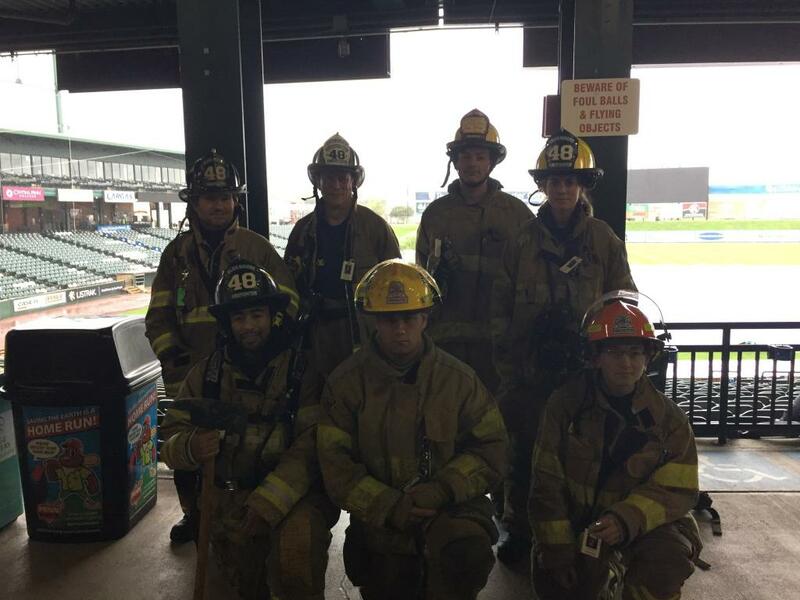 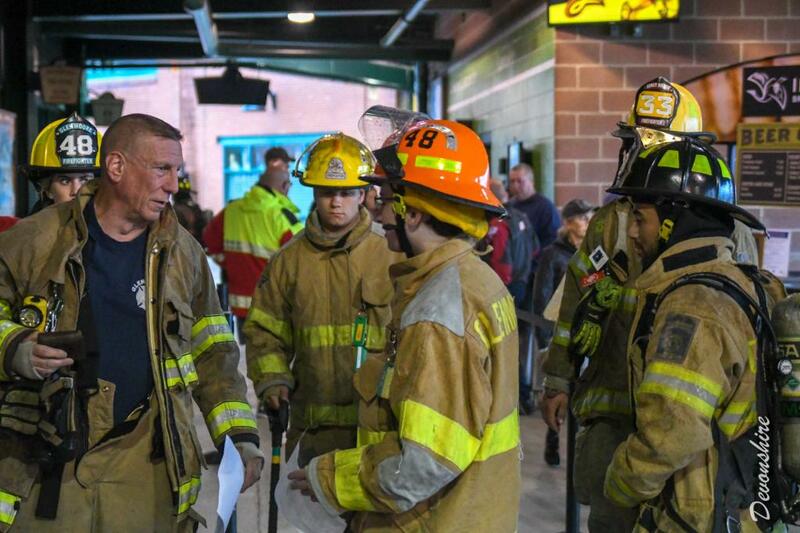 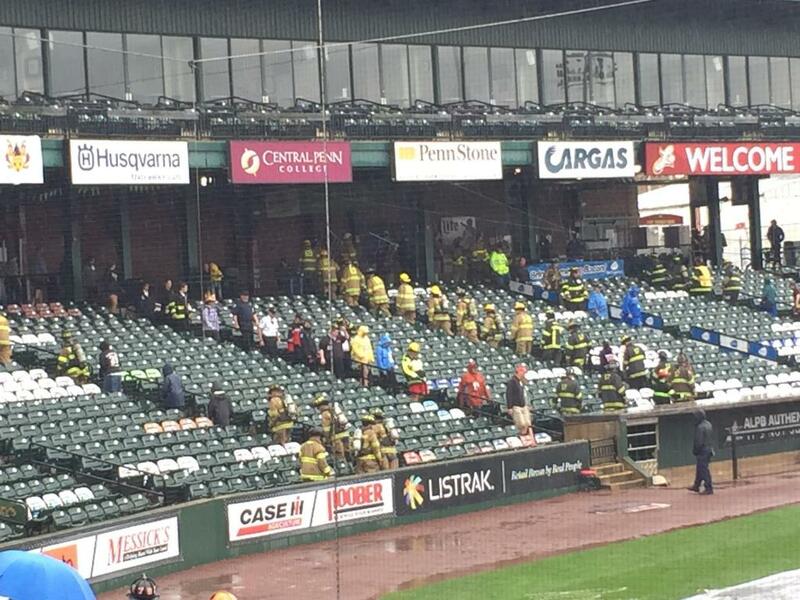 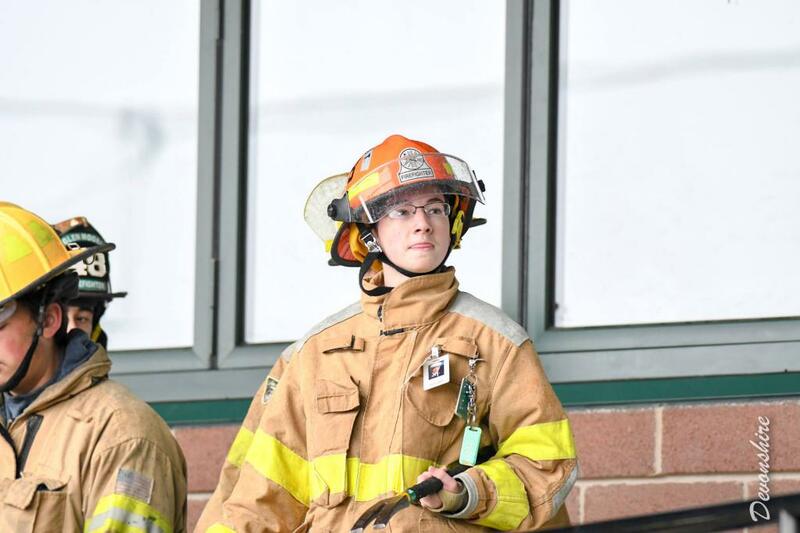 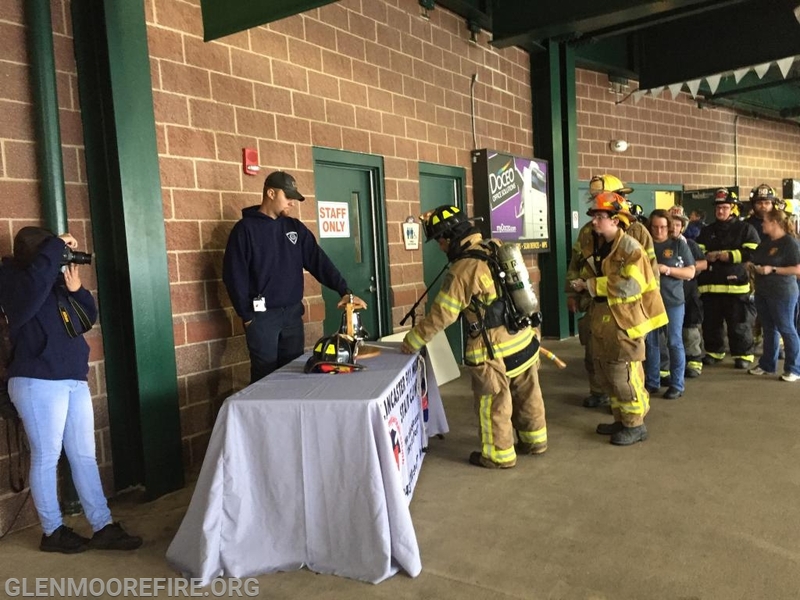 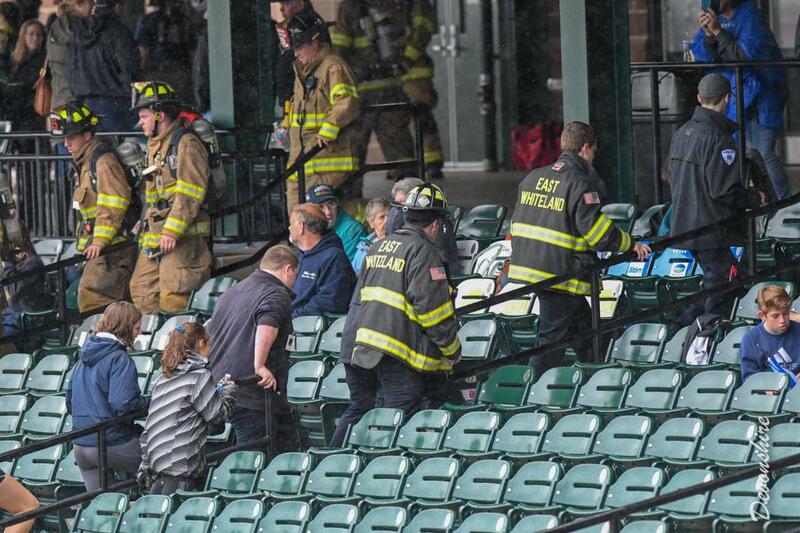 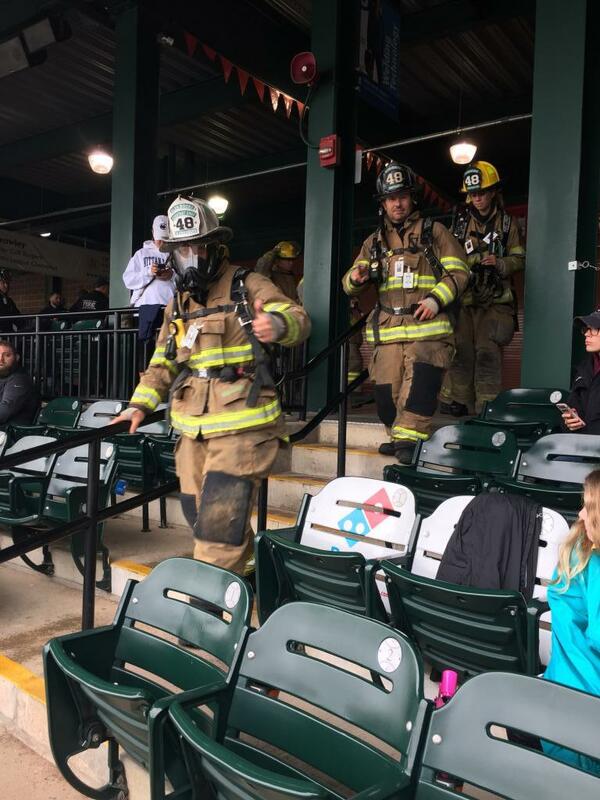 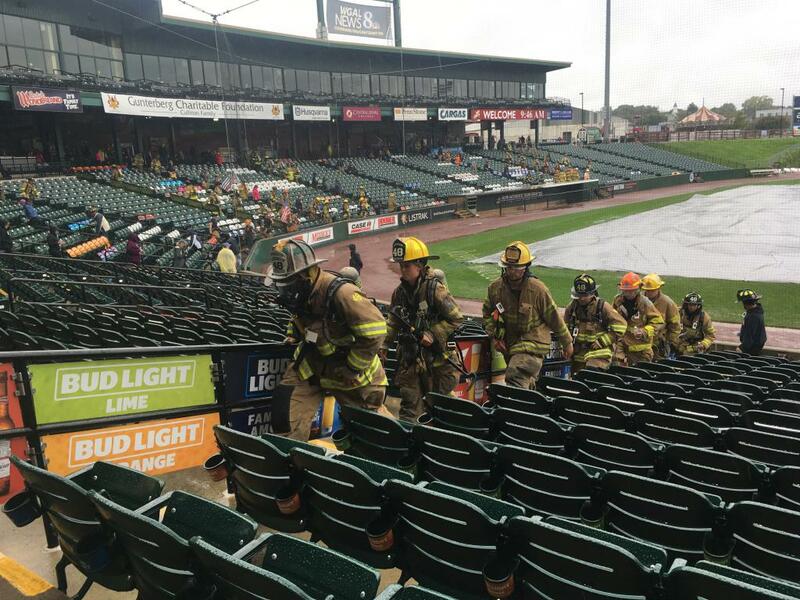 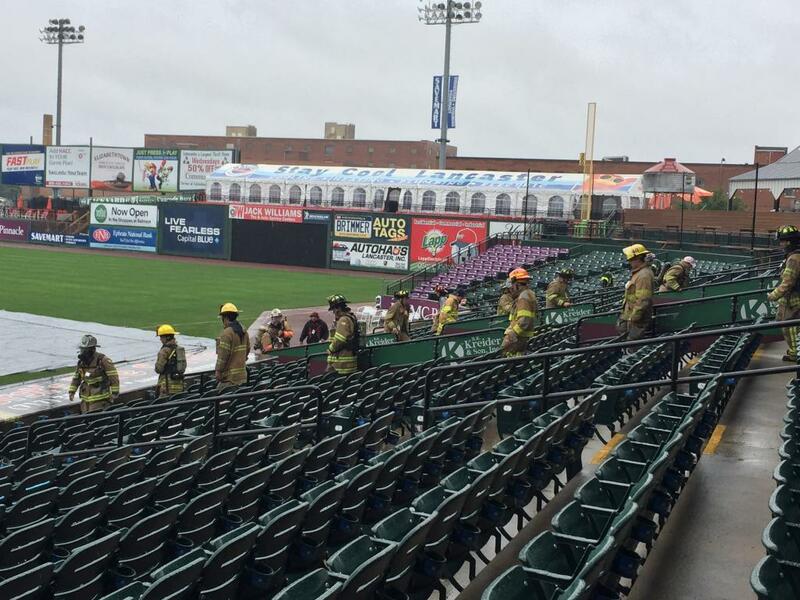 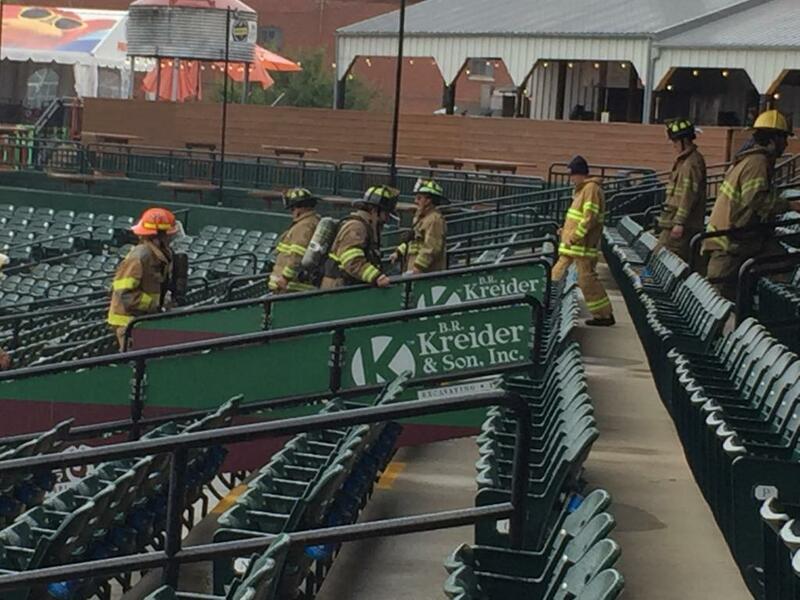 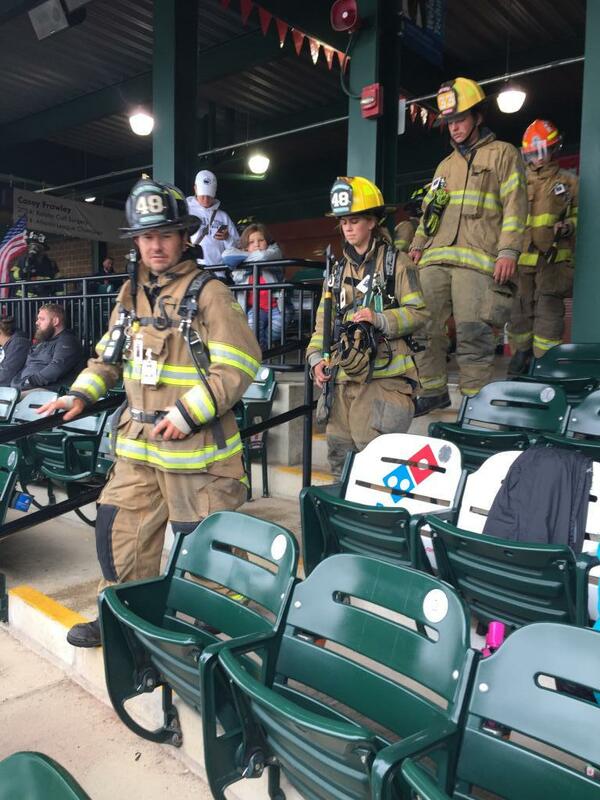 On Sunday, September 9th, six volunteers from the Glen Moore Fire Company traveled to Clipper Magazine Stadium in Lancaster, PA to participate in the 9/11 Memorial Stair Climb. 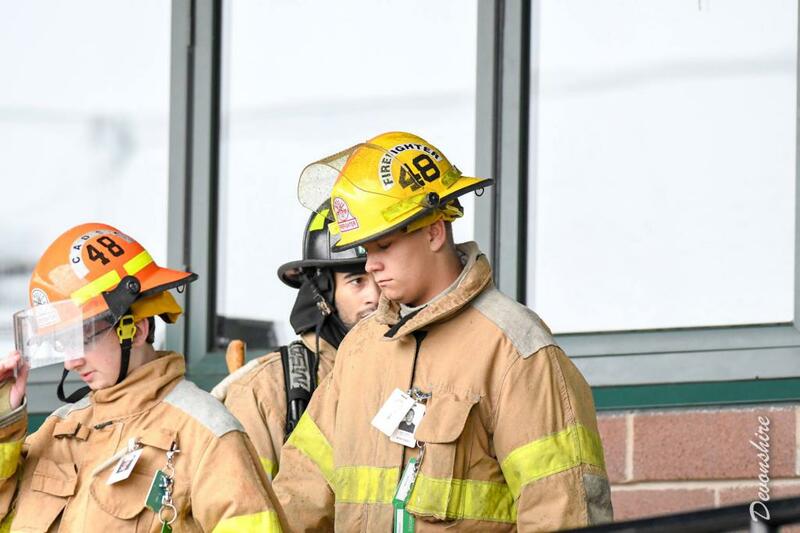 The GMFC volunteers were joined by a volunteer from Honeybrook Fire Company (Station 33). 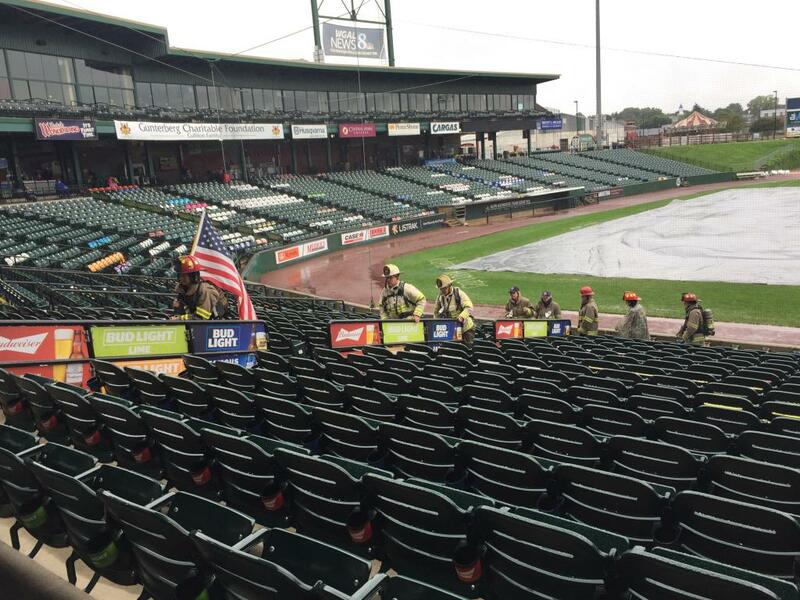 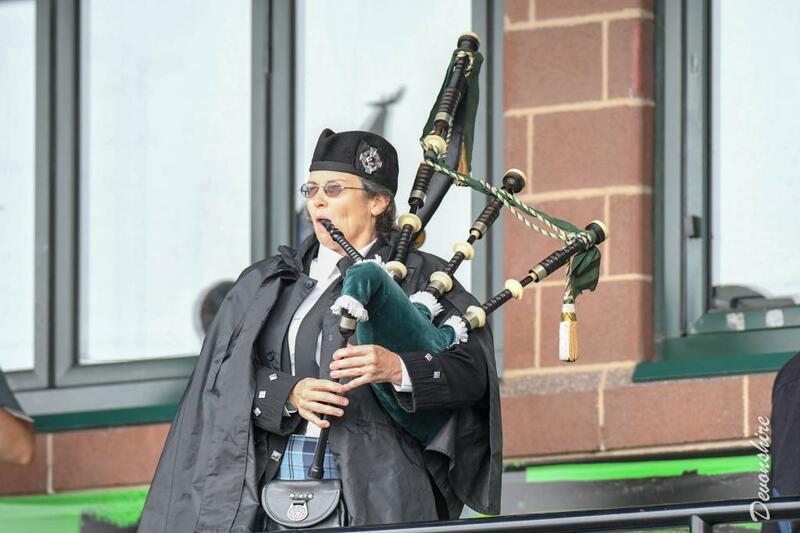 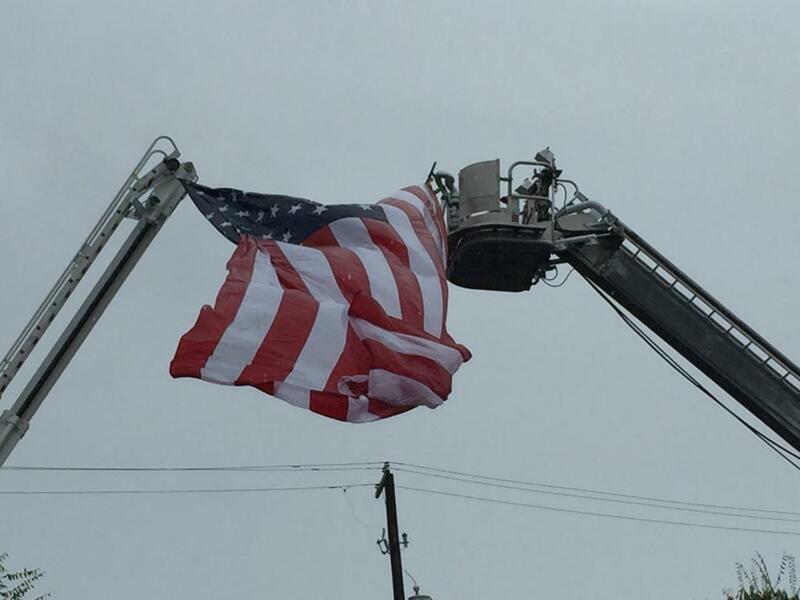 Even though it rained throughout the morning and the event, 266 people participated in the climb to remember the fallen heroes. 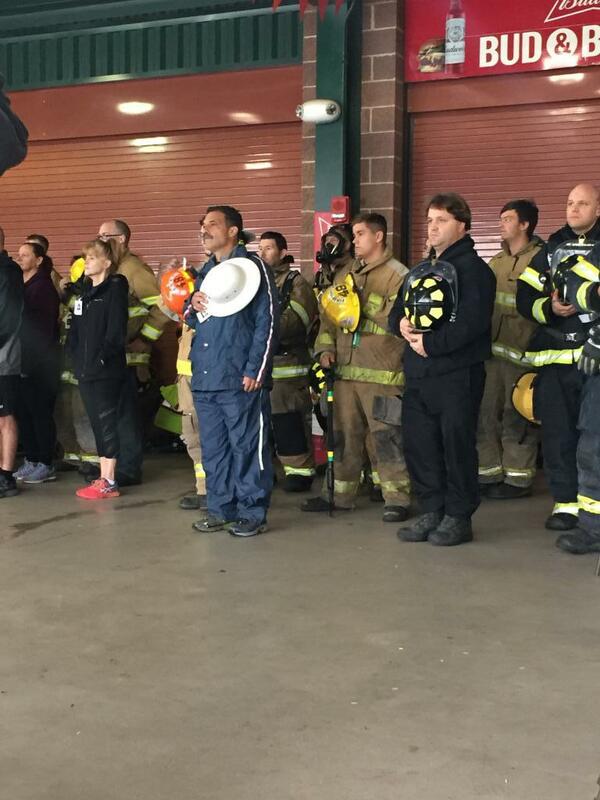 The day started with the national anthem and the reading of the 343 FDNY members who gave their lives on 9/11/2001. 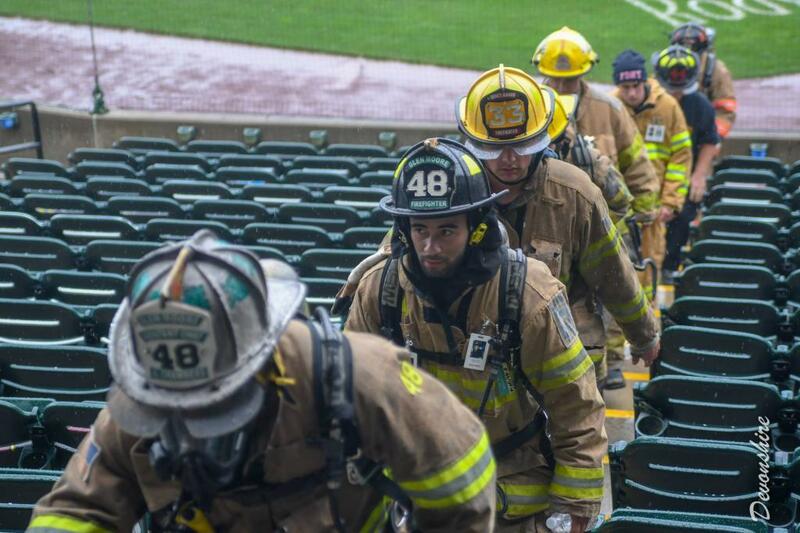 Participants then started the climb. 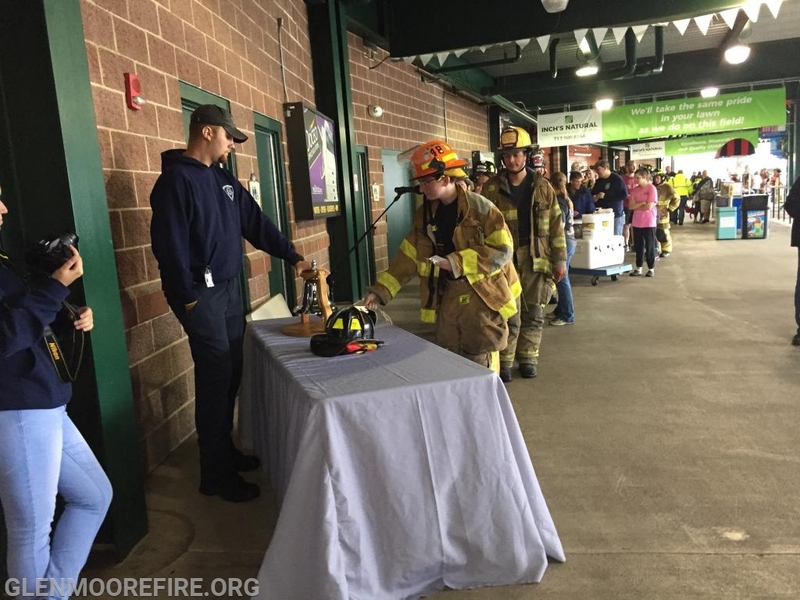 The event ended with each participant reading the name(s) of the firefighters they climbed for and ringing the bell. 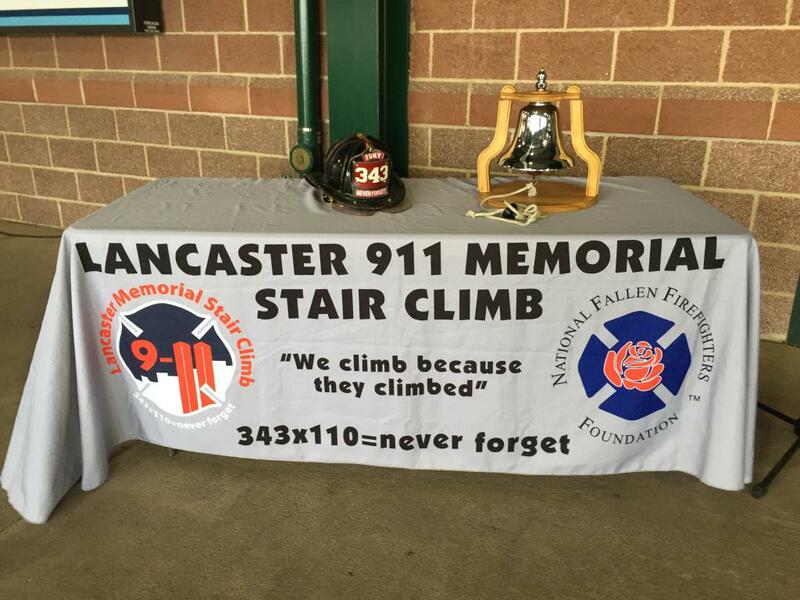 The 9/11 Lancaster Memorial Stair Climb is a way for all firefighters to honor and remember the FDNY firefighters who selflessly gave their lives so that others might live on 9-11-2001. 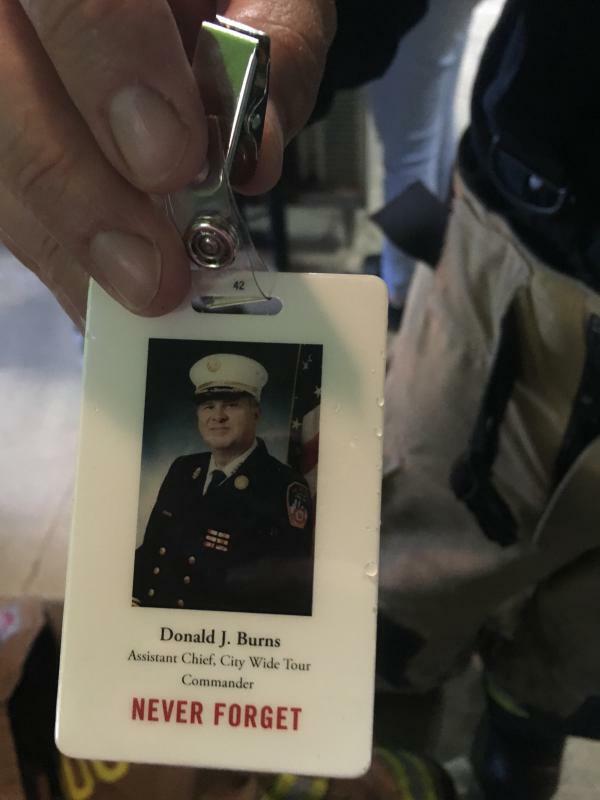 Each participant pays tribute to an FDNY firefighter by climbing the equivalent of the 110 stories of the World Trade Center. 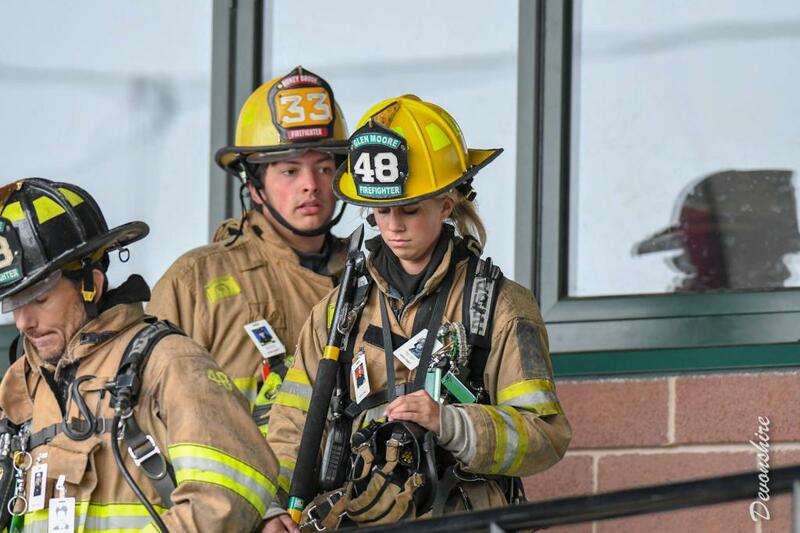 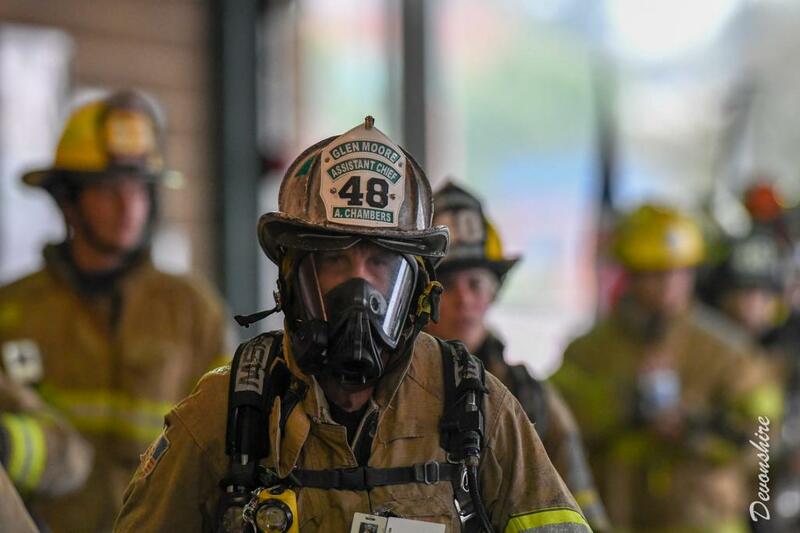 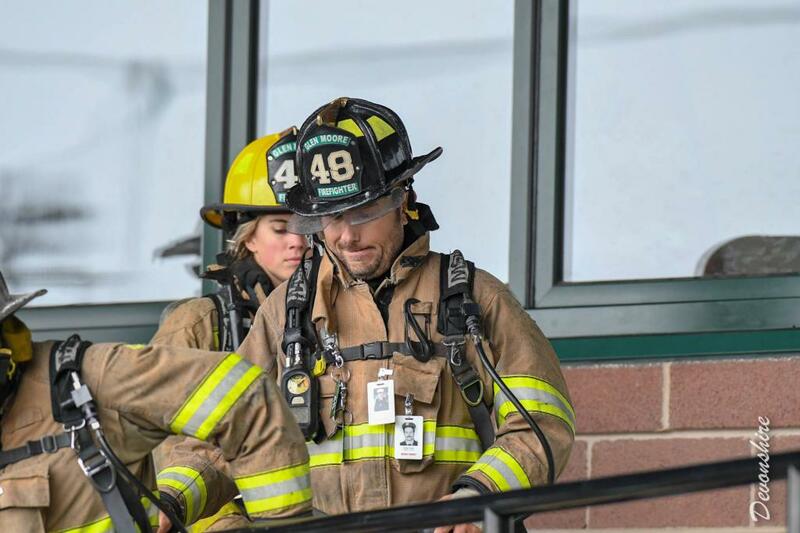 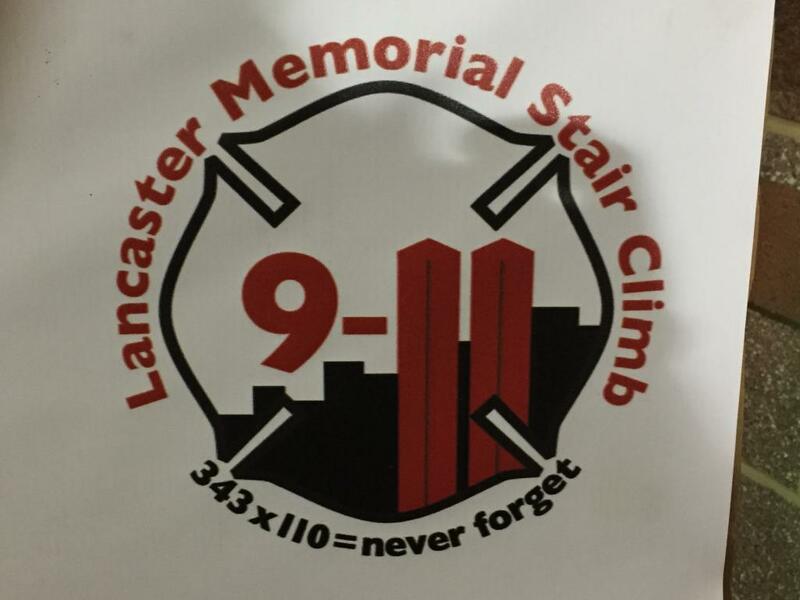 The Lancaster 9-11 Memorial Stair Climb is not a race. 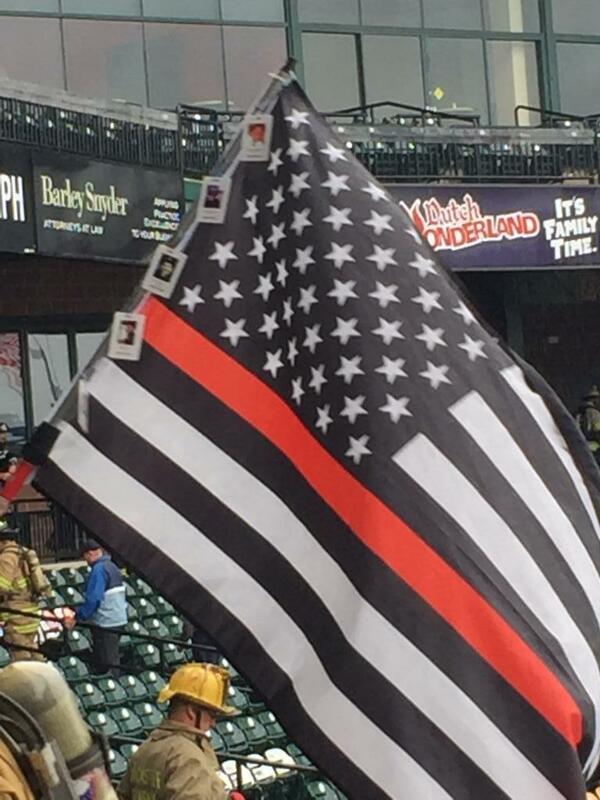 Participants complete the event while carrying a picture badge of one of the fallen FDNY firefighters. 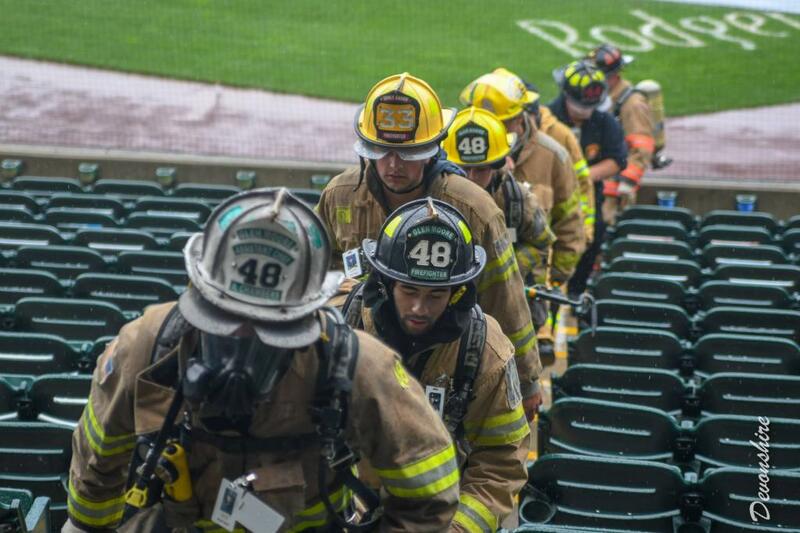 Completing the Stair Climb symbolically completes the climb FDNY firefighters tried to do on September 11, 2001. 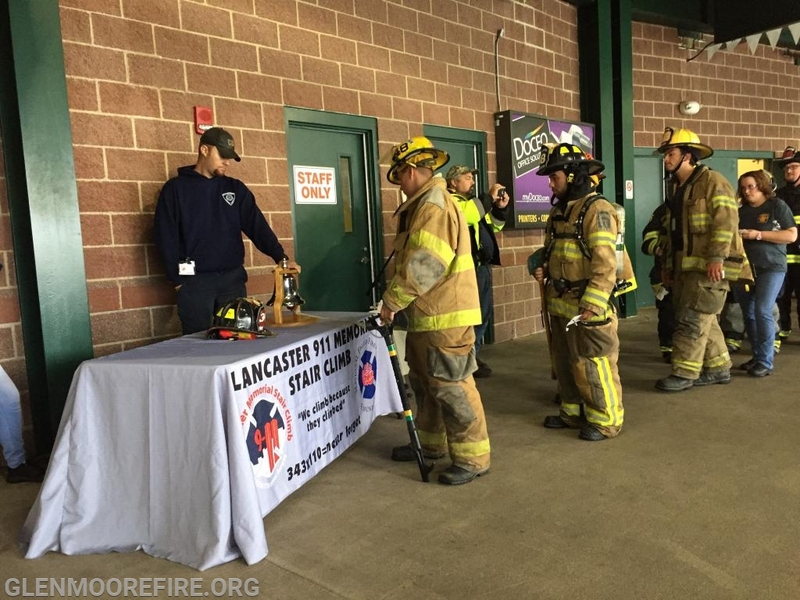 For more information, please visit www.lancasterclimb.org or their Facebook page at www.facebook.com/LancasterStairClimb. 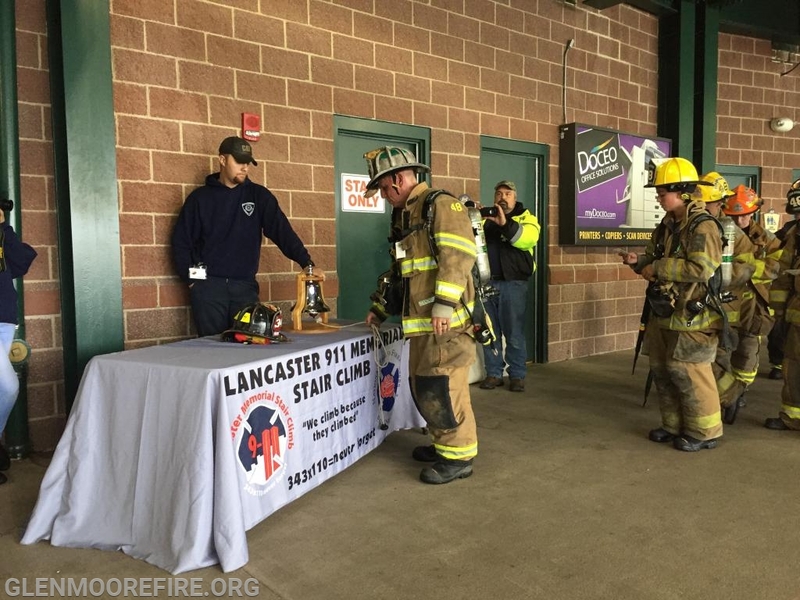 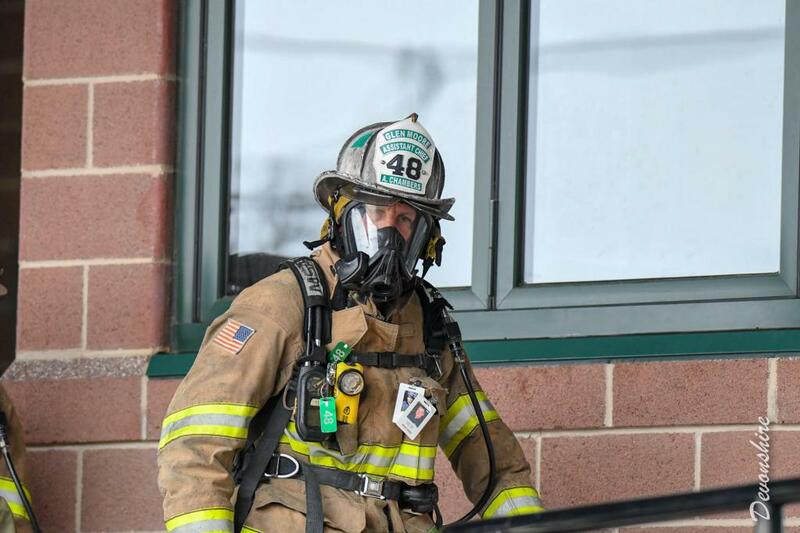 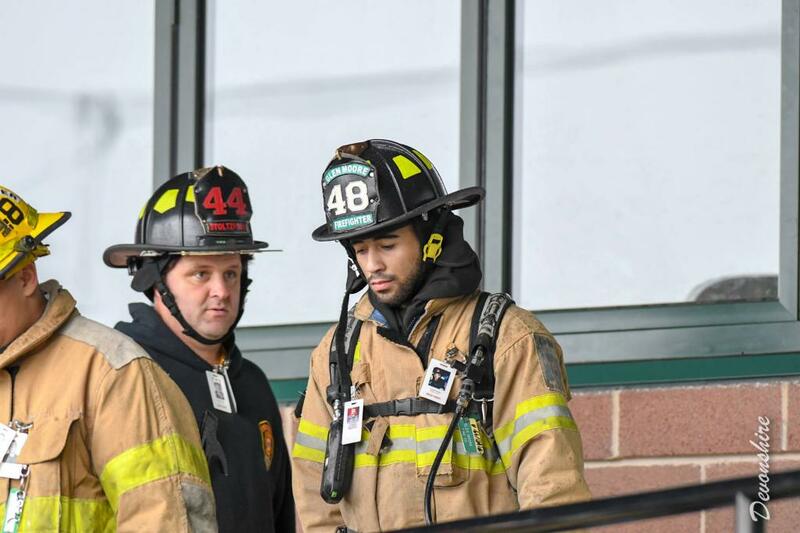 Some of the photos were retrieved from the Lancaster Stair Climb Facebook page. 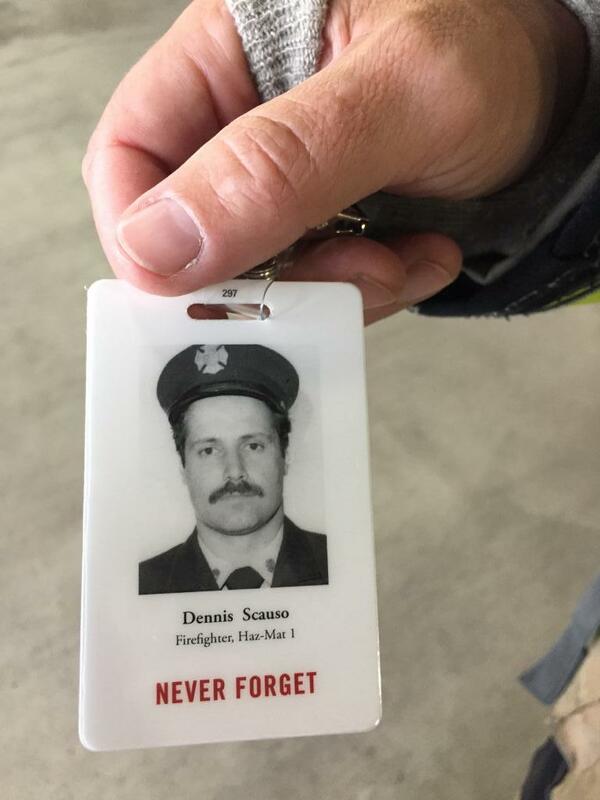 The video was also retrieved that page as well. 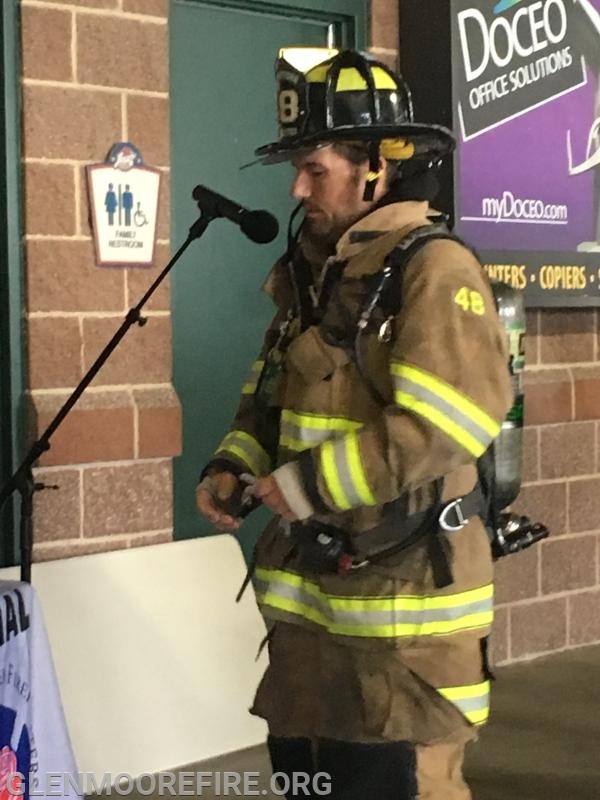 Reading of the names of the fallen heroes.